The apex of this rise and fall in the proxy records coincides with the The Great Plague that is estimated to have killed 30–60% of Europe’s total population. The Black Death is thought to have originated in the dry plains of Central Asia, where it travelled along the Silk Road, reaching Crimea by 1343. From there, it was most likely carried by Oriental rat fleas living on the black rats that were regular passengers on merchant ships, spreading throughout the Mediterranean Basin and Europe. Although the plague narrative is well established as the primary cause of death the storyline has more than a few issues. 1) The upper-end estimate suggesting 60% of Europe’s population died from plague during this period implies [about] 85% of Europe’s population were infected because there is [about] a 70% death rate amongst patients who don’t receive antibiotics. If infected, treatment is with antibiotics and supportive care. Typically antibiotics include a combination of gentamicin and a fluoroquinolone. The risk of death with treatment is about 10% while without it is about 70%. 2) The historic records suggests Europe has experienced numerous outbreaks of plague that didn’t develop into devastating multi-million mortality pandemics. 1125. Germany afflicted with the plague. 1230. Denmark desolated by the plague. 1242. A plague in France, Italy, and Greece. 1282. A great plague in Denmark. 1347. A comet appeared in August, and was seen two months. The plague ravages Europe, and is said to carry off one-fourth of the inhabitants. 1349. A plague in England, Scotland, and Ireland, and other parts of Europe. 1405. Famine and the plague in Denmark. 1463. A comet appears. The plague rages in Saxony and Thuringia. 1484. Famine and the plague raged in Denmark. 1593. A comet appeared ; plague in London. 3) Estimating Great Plague deaths is “hampered by the lack of reliable statistics” and [without any trace of irony] some modern historians question the veracity of “the clergy”. It is recognised that an epidemiological account of the plague is as important as an identification of symptoms, but researchers are hampered by the lack of reliable statistics from this period. … Estimates of plague victims are usually extrapolated from figures from the clergy. 4) Many aspects of the The Great Plague narrative have been “significantly challenged”. The plague theory was first significantly challenged by the work of British bacteriologist J. F. D. Shrewsbury in 1970, who noted that the reported rates of mortality in rural areas during the 14th-century pandemic were inconsistent with the modern bubonic plague, leading him to conclude that contemporary accounts were exaggerations. In 1984, zoologist Graham Twigg produced the first major work to challenge the bubonic plague theory directly, and his doubts about the identity of the Black Death have been taken up by a number of authors, including Samuel K. Cohn, Jr. (2002 and 2013), David Herlihy (1997), and Susan Scott and Christopher Duncan (2001). In addition to arguing that the rat population was insufficient to account for a bubonic plague pandemic, sceptics of the bubonic plague theory point out that the symptoms of the Black Death are not unique (and arguably in some accounts may differ from bubonic plague); that transference via fleas in goods was likely to be of marginal significance; and that the DNA results may be flawed and might not have been repeated elsewhere or were not replicable at all, despite extensive samples from other mass graves. Other arguments include the lack of accounts of the death of rats before outbreaks of plague between the 14th and 17th centuries; temperatures that are too cold in northern Europe for the survival of fleas; that, despite primitive transport systems, the spread of the Black Death was much faster than that of modern bubonic plague; that mortality rates of the Black Death appear to be very high; that, while modern bubonic plague is largely endemic as a rural disease, the Black Death indiscriminately struck urban and rural areas; and that the pattern of the Black Death, with major outbreaks in the same areas separated by 5 to 15 years, differs from modern bubonic plague — which often becomes endemic for decades with annual flare-ups. Gradualist historians have adopted a couple of strategies to resolve these plague problems. One approach is to simply discount the death as exaggerations. Unfortunately, this approach produces equally unreliable estimates that suggest The Great Plague only reduced the European population by [about] 10%. The alternate approach is to substitute [or combine] plague with different deadly diseases. A variety of alternatives to Y. pestis have been put forward. Twigg suggested that the cause was a form of anthrax, and Norman Cantor thought it may have been a combination of anthrax and other pandemics. Scott and Duncan have argued that the pandemic was a form of infectious disease that they characterise as hemorrhagic plague similar to Ebola. However, no single alternative solution has achieved widespread acceptance. Many scholars arguing for Y. pestis as the major agent of the pandemic suggest that its extent and symptoms can be explained by a combination of bubonic plague with other diseases, including typhus, smallpox and respiratory infections. The poorly explained away deaths associated with The Great Plague suggests the catastrophic concept of cometary cyanogen [being injected into the atmosphere] should also be considered as a possible attack vector. … if the cyanogen managed to penetrate down into the lower atmosphere then there’s the possibility of significant unexplained [or poorly explained away] deaths. Cometary cyanogen clearly qualifies as an “airborne plague that attacks the lungs”. In addition to the bubonic infection, others point to additional septicemic (a type of “blood poisoning”) and pneumonic (an airborne plague that attacks the lungs before the rest of the body) forms of the plague, which lengthen the duration of outbreaks throughout the seasons and help account for its high mortality rate and additional recorded symptoms. In 2014, Public Health England announced the results of an examination of 25 bodies exhumed in the Clerkenwell area of London, as well as of wills registered in London during the period, which supported the pneumonic hypothesis. If cometary cyanogen is a mutagenic chemical then it’s very possible new strains of infectious diseases developed during The Great Plague. If cometary cyanogen is mutagenic then The Great Plague is similar to the 1918 Influenza Pandemic that killed “50 to 100 million” people. The grotesque realities of the First World War didn’t stop with the 1918 armistice for those exposed to mustard gas because it is “strongly mutagenic and carcinogenic”. The “strongly mutagenic” effects of mustard gas became apparent in 1918 when an “unusually deadly influenza” spread around the globe. The mutation of an “influenza virus” within a host of “young adults” exposed to mustard gas explains why the “unusually deadly” 1918 “influenza virus” disproportionately killed “healthy young adults” by “causing massive hemorrhages and edema in the lung”. The 1918 influenza pandemic (January 1918 – December 1920; colloquially known as Spanish flu) was an unusually deadly influenza pandemic, the first of the two pandemics involving H1N1 influenza virus. It infected 500 million people around the world, including people on remote Pacific islands and in the Arctic, and resulted in the deaths of 50 to 100 million (three to five percent of the world’s population), making it one of the deadliest natural disasters in human history. 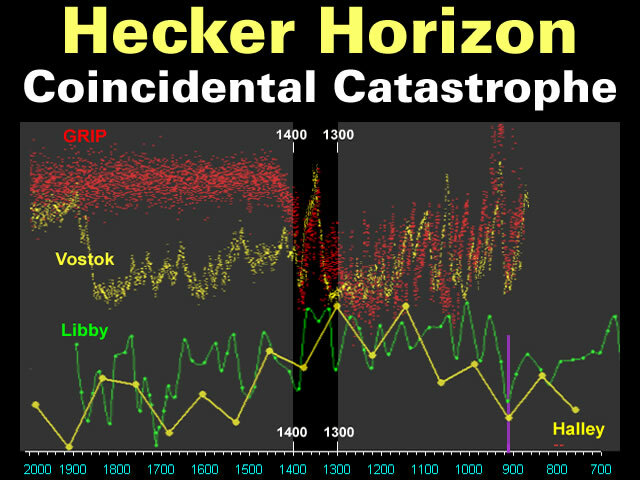 If The Great Plague is associated with cometary cyanogen then another aspect of this catastrophe should be poorly explained away objects that have been exposed the “second-hottest-known natural flame”. … if the cyanogen managed to penetrate the lower atmosphere then there’s the possibility the gas will ignite with the “second-hottest-known natural flame”. These poorly explained away objects include the “vitrified ramparts” found in Europe that have been dated between 1000 and 1500 BP. These poorly explained away objects would be similar to the settlements that were “completely burned every 75–80 years” to create the Burned House Horizon in Southeastern and Eastern Europe. In the archaeology of Neolithic Europe, the burned house horizon is the geographical extent of the phenomenon of presumably intentionally burned settlements. The Burned House Horizon in Southeastern and Eastern Europe is said to have lasted “from as early as 6500 BCE to as late as 2000 BCE” but the “burned” architecture suggests there might well be very big problems with the official mainstream dating. The Cucuteni–Trypillia culture, also known as the Tripolye culture, is a Neolithic–Eneolithic archaeological culture (c. 5200 to 3500 BC) of Eastern Europe. If The Great Plague is associated with cometary cyanogen then the close proximity of the Burned House Horizon to the origins of the plague “in the dry plains of Central Asia” [reaching Crimea by 1343] is probably not just a remarkable coincidence. In this scenario the cometary cyanogen crossed Central Asia, the Black Sea and Greece. The plague known as the Black Death, which started in the Mongol dominions and spread to Europe, added to the confusion. Disease devastated all the khanates, cutting off commercial ties and killing millions. In 1304, the three western khanates briefly accepted the nominal suzerainty of the Yuan dynasty, but in 1368 the Han Chinese Ming dynasty took over the Mongol capital. The Genghisid rulers of the Yuan retreated to the Mongolian homeland and continued to rule there as the Northern Yuan dynasty. This track of cometary cyanogen might just explain the sintering of the Loukous aqueduct sometime between Roman Times and “around 1400”. The monastery near Astros is actually called Moni Metamorphossis Sotiros Loukous. The Transfiguration Monastery is still inhabited by a few nuns. In the centre of the complex stands a cross dome church, built around 1400, the bricks are from antiquity and partly from a sanctuary, partly from a nearby rediscovered villa of Herod Atticus. 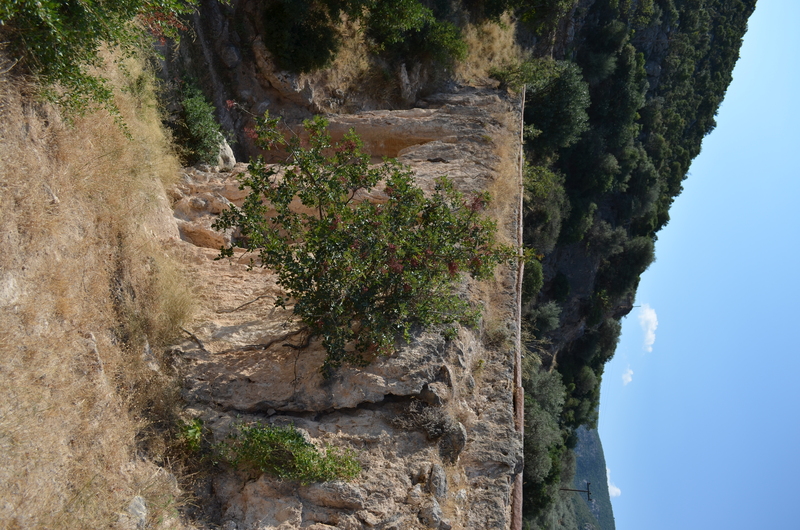 At the entrance to the monastery, one passes the remains of an aqueduct that was sintered to give it a mysterious appearance. Hat Tip: Yves who references GaryN on the TB forum. Readers who discover the Loukous aqueduct is just too hot to handle are advised to seek solace [and a pair of oven gloves] from their nearest gradualist historian. Gallery | This entry was posted in Comets, Hecker Horizon, History, Vitrified Hill Forts. Bookmark the permalink. Have you read Mike Baillie’s book on ‘New Light on the Black Death’ which also suggests a cometary role in the Black Death – and the peculiar events leading up to the plague (such as warm winters and heavy and persistent rainfall causing crop failures and widespread famine etc. Obviously the time span of the thermal events seems < 5 years and hence difficult to see in Libby's plot that is based on 5 year averages. The cooked aqueduct is impressive. Interesting to note the regular dating of European coins began in Belgium in 1372. Note: The 1234 coin is said to have been a one off. Coins means market economies which makes England even more interesting – it seems the Low Countries were ahead of everyone else when it comes to markets. It suggests the English were still shell shocked from the hell fire and makes one wonder how much of English history is fake history. My family tree goes back to 1326 AD, and there were then 5 families “Hissink” centred around Deventer. Before that date no church records available. And if Holland was a very recent formation, land mass wise, then my origins are sort of fake as well. I did find out my forbears were not peasants since I am the custodian for the family seal, (arf arf arf) :-). There’s also a massive dark earth region in South America that seems to date to the same time – but now covered by jungle and rainforests. There should be similar deposits in the north americas unless these were eroded by a later glacial event that could be the Maunder Minimum. And I’m now uncertain what the Hagedoorn “roman” water works, in the Garzweiler pit (1992 AD) represents. Looking at typical roman aqueducts, all made from small bricks, and comparing it to the Miocene aqueduct, I now wonder if that structure was coeval with the polygonal precision wall structures of massive size. It becomes more complex if the Miocene coals are interpreted as dark earth, and then the distribution of dark earth in Europe needs to be described in terms of the underlying geology. Then there is the Carboniferous period that needs to be explained – if artefacts were indeed found in those strata. Here’s a heresy – the thermageddon spawned our era which started ~ 14th C AD. Before that it’s moot; Europe recovered first, the appearance or reappearance of agricultural markets requiring money and hence the minting of coins. The absence of any coinage in England means its was uncivilised and populated by a bunch of robber brigands, and divided into Wales, Scotland, and England, with further subdivisions. It also suggests more of the UK was more affected by the thermageddon than them over t’other side of channel. This thermageddon could have been the famous Holocaust for which the usual suspects would have been searched for by the mob. But why the English were so slow to adopt markets requiring money is mysterious. Methinks it’s fake history. One addition: dated coins versus undated ones, so England could have had a coinage medium for markets. But as England is the home of socialism where the many are ruled by the few on the basis of divine right of Kings, (who chose them? ), then plunder was the operative economic system. But there are two technical aspects there. 1) sintering is not a process that is applicable in such a situation. 2) There is a familiar process in action there. Calcarious depositions over long periods of hard water leakage. The growths can be quite hard. 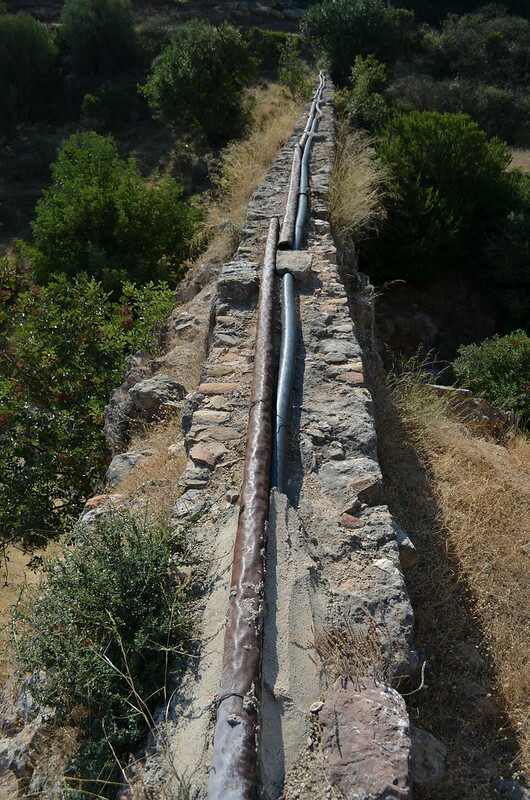 An abandoned aqueduct in bad state of repair in a country prone to seismic rattling. From another perspective there have been instances over the centuries when long rain-less periods meant little water from natural sources, then extremely hard, saturated, and leaking and evaporating quickly in very dry conditions. That’s supported by W Kendrick Pritchett. That aqueduct isn’t in limestone country is it ? 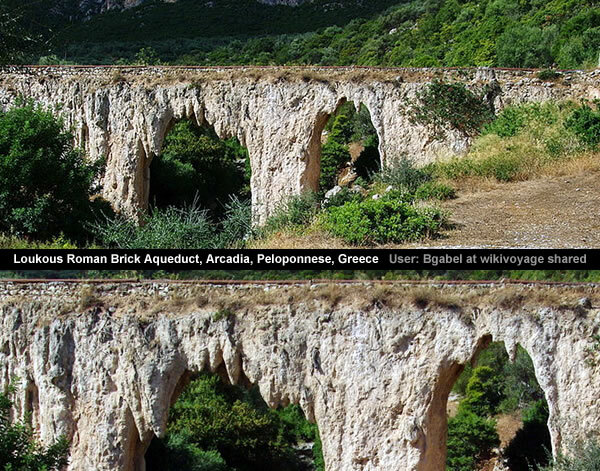 I haven’t found an aqueduct reference to support the Wikivoyage “sintered” description. There is a references to a sculptured head “presumably found in the villa of Herodes Atticus near Loukou Monastery near Astros” that has “small sinter residue on the neck”. That aqueduct had to be rather leaky to result in so much precipitation of carbonate etc.and the source water would have been extremely alkaline as well. I wonder where the water source was/is. Don’t really know but the rock, and the stonework in pic/link, looks coralline. Water quantity is low; likely from a spring; water percolating through coralline rock. Dare I say it, but this could not be a roman aqueduct – those were capped rectangular channels, not simple foundations to lay pipe. Maybe a medieval construction ? There is something curious with this aqueduct. Certainly the support columns and arches are brickwork. Yet the upper two courses of the channel seen in this enlarged: https://upload.wikimedia.org/wikipedia/commons/c/cb/GR-loukous-wasserleit.jpg are quite large coralline blocks (which makes sense – less cemented joints that leak). The question is: Coralline rock is available, so why not used for whole structure. 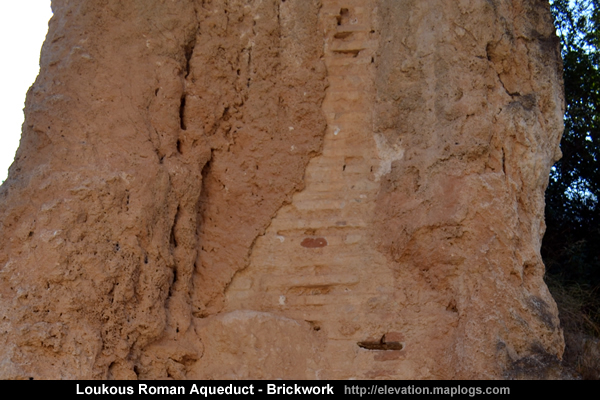 Elsewhere in the Med, roman works use extensively enormous blocks. The use of enormous blocks is standard in Greece. It may well have been Roman, with a channel formed in the usual way, but subsequently two courses of rough hewn corraline rock added as a foundation for the pipes. Perhaps the roman structure was overgrown with stalagmitic overgrowths, which then needed 2 courses on top to form a useful base. Another possibility is that tectonic ground subsidence caused the open channel at the top to overflow; ergo the heavy encrustation. Modern piping does not deliver as much as an open channel of same cross sectional area, and any airlocks would prevent flow completely. A constant gradient drop is imperative. The recent ‘Hecker Horizon’ thread just keeps getting better and better. 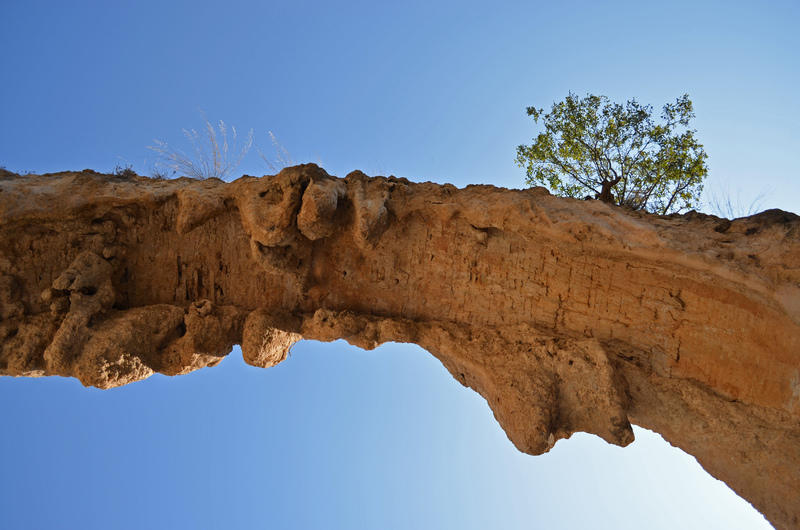 The image of the Loukous aqueduct are jaw-dropping! Regarding epidemics, some work has been done correlating outbreaks such as the 1919 influenza outbreak with a transit of Venus the year before. During such transits (every 52 years), Venus’ plasmatail still reaches Earth’s thermosphere and briefly superimposes with Earth’s plasmasphere. It is via this temporary conjunction that viruses may be transferred from the Venusian atmosphere, and/or mutations may occur to extant viruses. Also — please remind us who is / was Hecker? I couldn’t find a reference . . . Thanks for all you do!